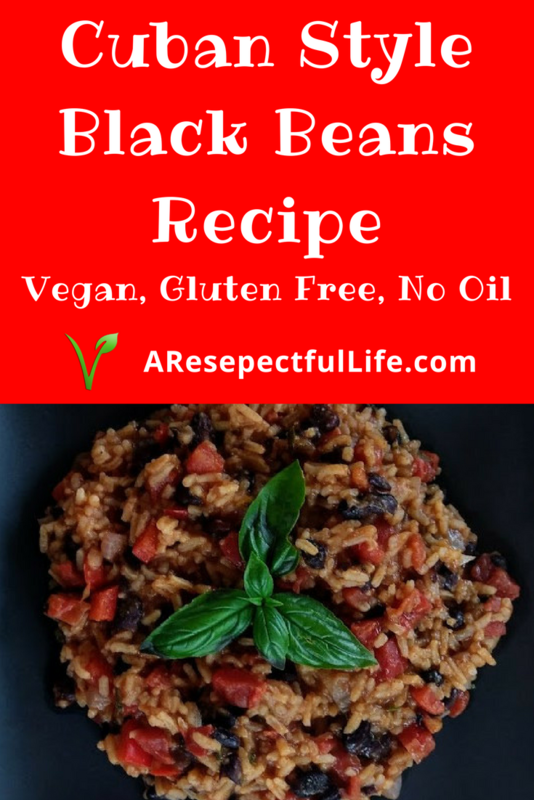 This is an easy and versatile Vegan Black Bean Recipe. 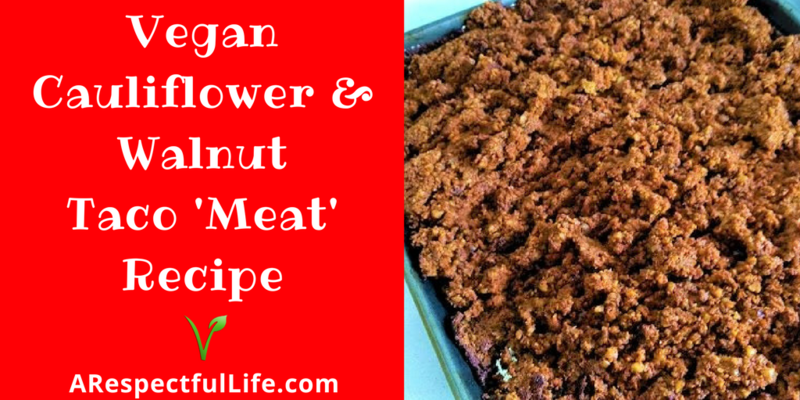 It is oil free and gluten free. I use them with burritos, tacos, wraps, or beans and rice. 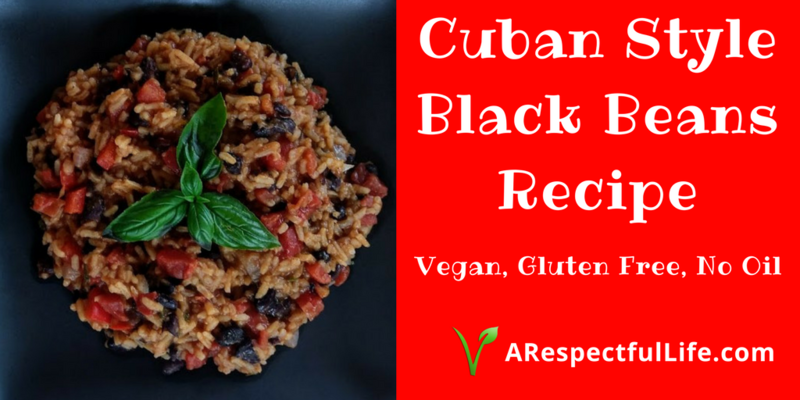 **See recipe notes for beans and rice. 1/4 Cup Fresh Cilantro Chopped (For those that don't like cilantro, use 1 tsp ground coriander seed. 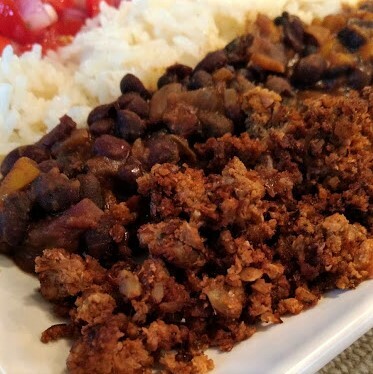 Mix together red wine, vinegar, lime juice, sugar, and dry spices and set aside. 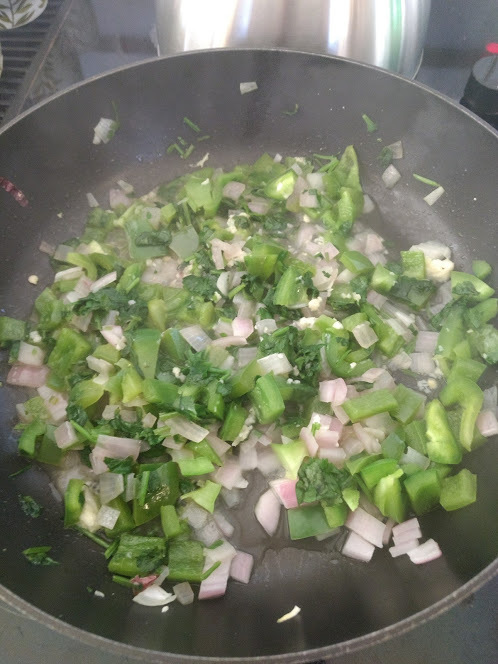 In a non-stick pan saute onions, green pepper, garlic and cilantro until onions are translucent. Deglaze with a splash of red wine (If you haven't already drank it all). 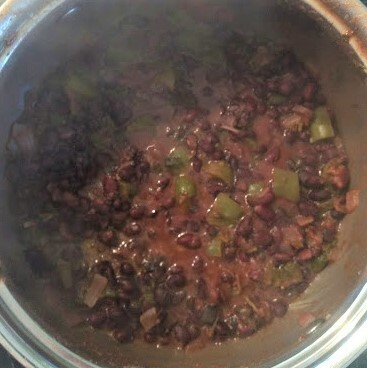 Add black beans and mixed ingredients. Add water until it reaches almost to the top of the beans. Bring it to a boil and simmer 25 minutes or so until liquids are absorbed. 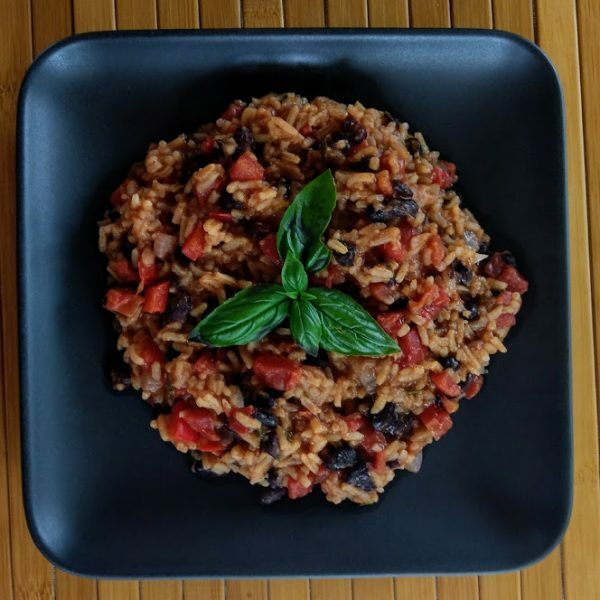 If you are making beans and rice, add diced tomato for the last 5 minutes and mix with rice. 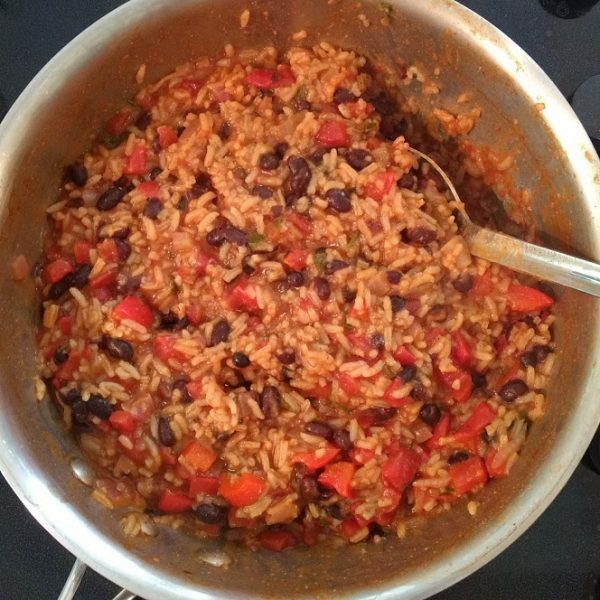 This is the beans and rice served. They are also fantastic with tacos! Looks good! Can I omit the red wine? Yes you may, it won’t make that much of a difference.